The Calgary Women’s Run is one of the oldest women’s races in Canada. Organized by a volunteer committee, the race is made possible by our valuable sponsors and volunteers! 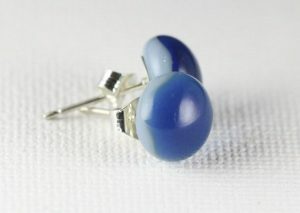 This year we’ve got earrings for all our participants!! Trisha from Nik Naks is giving us something new! $300 from Tech Shop for 10k winner and $450 more split up for top three finishers in 5k, and 2nd and 3rd in 10k. 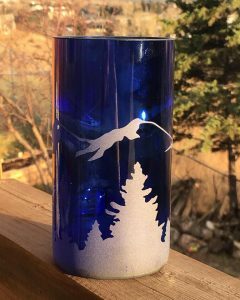 Peregrine Glassworks will be working with us to create unique awards! Calgary Silver Linings Foundation is Working Collaboratively To Create A World-Class Residential Eating Disorder Treatment Centre In Alberta. 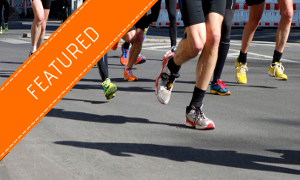 Race capped at 400 participants. Start Time: 9:00 AM for 10K and 9:05 AM for 5K race. Location: Monserrat Dr & Bowness Rd. NW (just east of Shouldice Aquatic Centre, 5303 Bowness Rd. NW). Parking: There is limited parking available so please find street parking. Please DO NOT park in the Shouldice Pool parking lot. 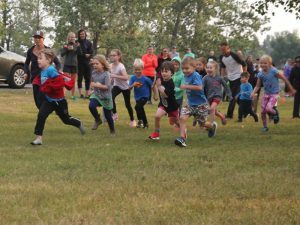 Kids 1K Fun Run, race morning sign-on around 8am, to start at 8:30. Bouncy Castle will be back again! Must be present to win draw prizes. 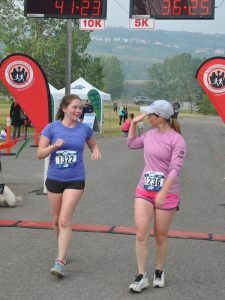 Mother / Daughter teams must run the same distance and each member of the team must register and show their team mate’s name on each of their registrations. No refunds. Transfers will be allowed until one day prior to race day. 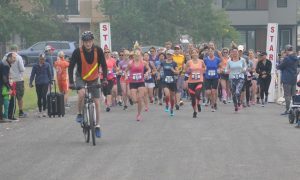 The 2019 run will again take place near the Shouldice Aquatic Centre, 5303 Bowness Road. NW, (intersection of Monserrat Drive and Bowness Road NW) and will be held rain or shine! Start time is 9:00 AM. Try to be at the park by 8:30 AM to allow time for your warmup and last washroom break. Open to all participants who will be running or doing a running/walking combination. Path = Calgary’s Women Run, 5 or 10k. Race rules are in place for safety and enjoyment of all competitors. Let’s have a safe and FUN day. Please stay to the right side of the pathway and obey course marshals at all times. Be mindful of other pathway users. THIS IS NOT A CLOSED COURSE. No refunds, please remember this event’s proceeds are 100% given to charity. We are happy to swap your registration to another. Headphones are not permitted – pathways are open to public and participants need to be aware. Please pin your race bib to the front of your shirt or shorts. This is your “chip” timing. The 10K will start at 9:00 AM and the 5K will start at 9:05 AM. When lining up for the start please place yourself according to your projected finishing time (eg. under 40 minutes in the front). Remember, allow faster competitors to pass freely at all times. 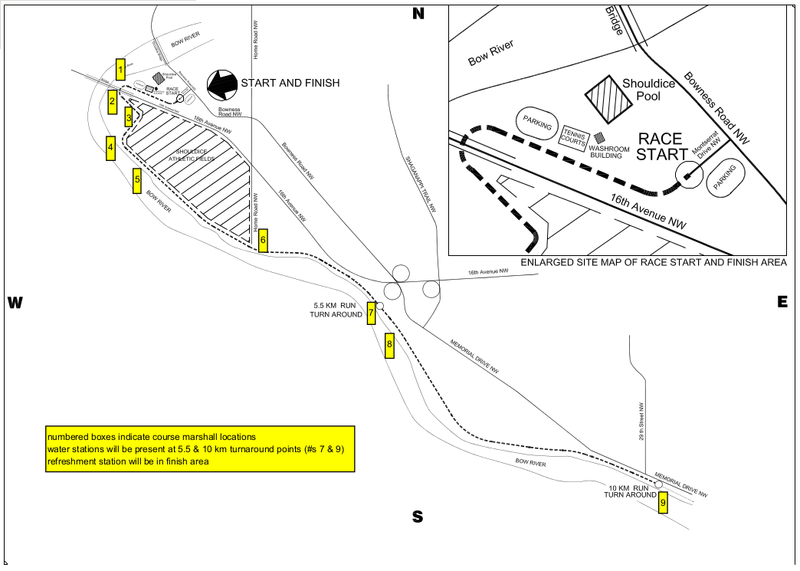 Water will be located at the 5km and 10km turnarounds and at the finish. Final Results will be posted on the Calgary Roadrunners Web site and at www.racepro.ca. The History Of The Calgary Women’s Run. The Calgary Women’s Run is one of the oldest women’s runs in Canada, and an historically important event for women in sports. In 1979, the Calgary Roadrunners Club was contacted by Bonnie Bell Canada (a cosmetics company in Canada & the United States) regarding a new series of 10 kilometer runs for women. Bonnie Bell Cosmetics and Avon were leaders in the push to get long distance running (marathon) into the Olympics. 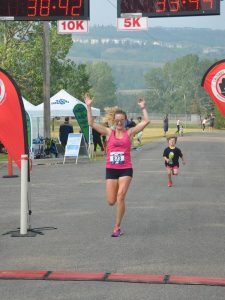 The Calgary Roadrunners Club, a progressive group of runners, who were always on the look out for ways to encourage distance running among men and women in the community decided to add the event to their schedule of events. Marg Carleton was asked to take on the Race Director position. The Bonnie Bell series was held in seven cities across the country during the summer. The first place winners were sent to Boston for a 10K Championship that included Canadian and American winners. That first year Jacqueline Gaureau of Montreal (winner of the Boston Marathon in 1980) and Shauna Miller (a top Canadian middle distance runner from Edmonton and the winner in Calgary) represented Canada in the championships. The first race in 1979 was a huge success with women of all ages in Calgary. The philosophy of the race from its inception has been to encourage women, young and old, to be physically active all their lives. They were seen as a non-threatening way for women to join in the running boom, a stepping stone to mixed races. For the competitive runner, they provided a chance to test yourself against other women. The first years of the run in Calgary brought out all the great runners of the day. Shauna Miller, cross country skiers Joan Gouthyson and Shirley Firth, Donna Dixon, Janice McCaffrey, Beth Elana Evanoff, Val Chauski… Over the years there have been many great battles waged on the course around North Glenmore Park and countless women have run their first race with us. In 1984, the series changed hands and RMP Athletic Locker (Brooks Running) took over the series. At that same time we forged a partnership with The Forzani Group. Another partnership was formed in 1990 with the YWCA of Calgary. We started donating a portion of the entry cost to the YWCA for programs that they supply to disadvantaged women and girls in the community. In 2001 when Mary Ann Clark assumed the job of race director, a concerted effort was made to encourage the participation of young women runners, to introduce them to road racing in a fun and supportive environment. In 2003, our 25th anniversary, J.Vair Anderson, Jewellers joined us as a major sponsor of the 5.5km run and Susan Mullie joined the race direction team. Now, as we approach our 41st anniversary, directorship has changed hands several times as has sponsorship and chosen charities. However our partnership with the Forzani Group (Tech Shop) and the Calgary Roadrunners Club has been enduring and we thank them for this. Join us on Sunday, August 25, 2019, for the 41st running of the Calgary Women’s Run!